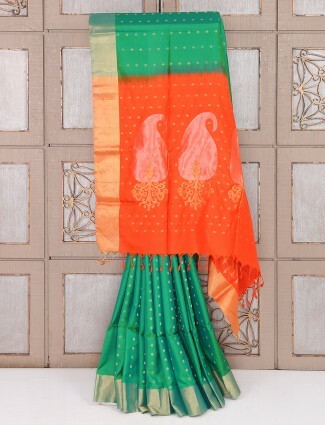 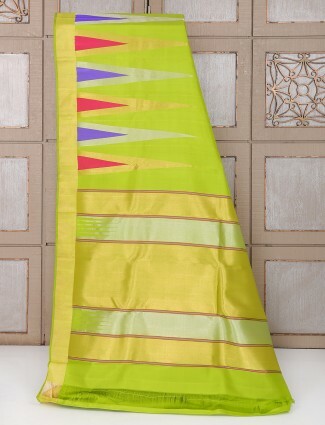 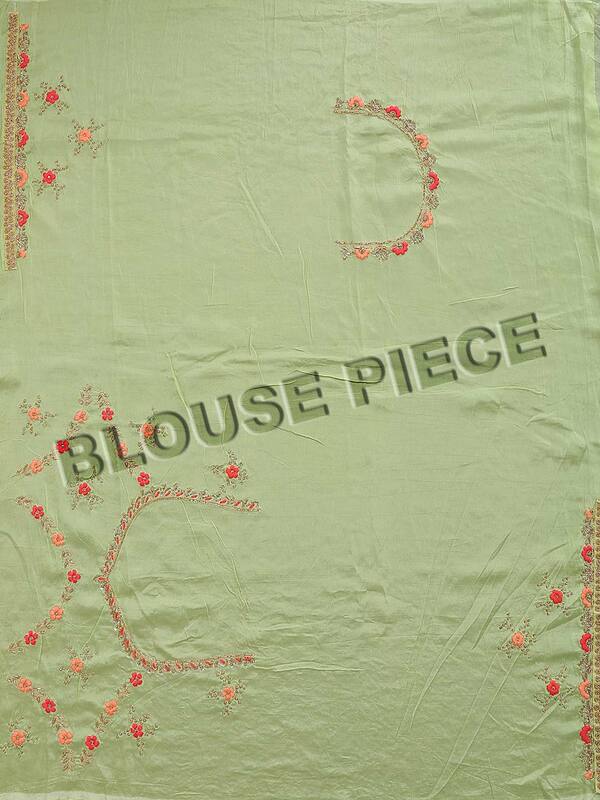 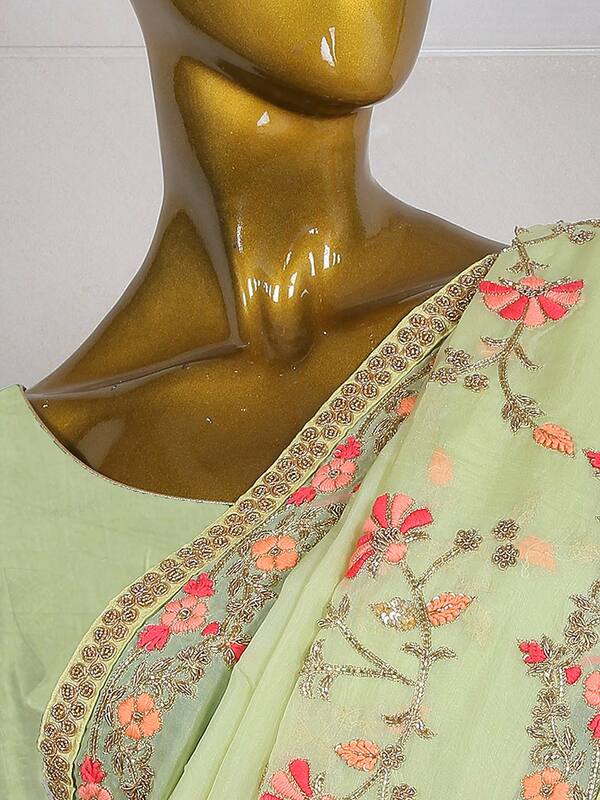 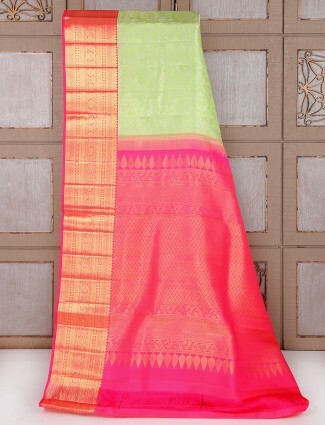 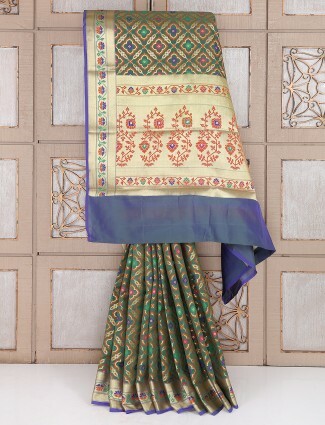 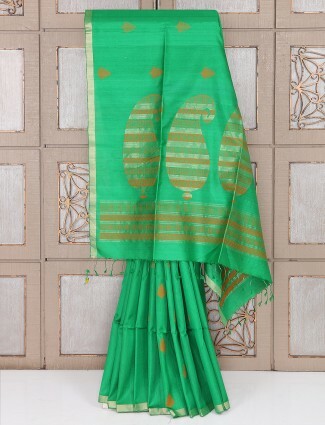 Add a grace and charm to your appearance in this pretty parrot green silk saree. 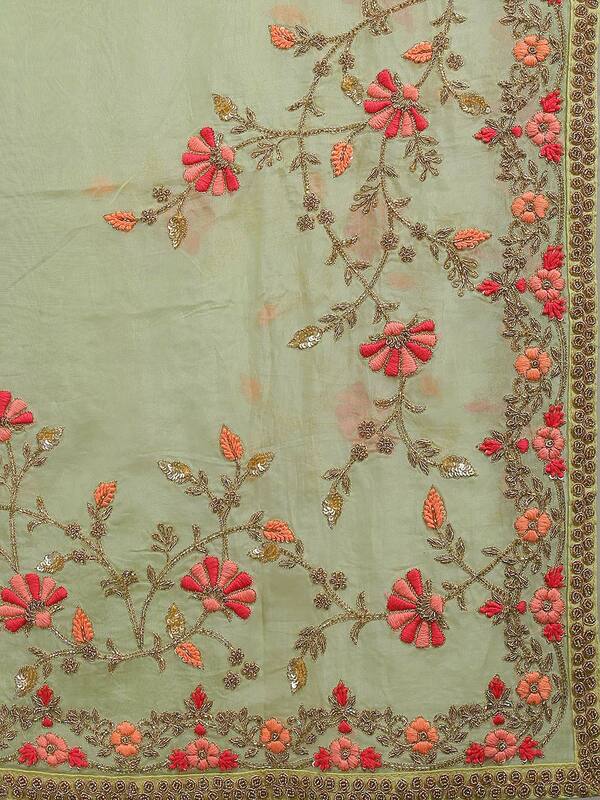 Decorated with zari, thread, cutdana and cutdana work through out the attire. 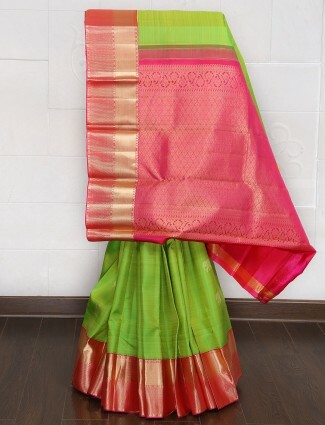 Ideal for marriage ceremony. 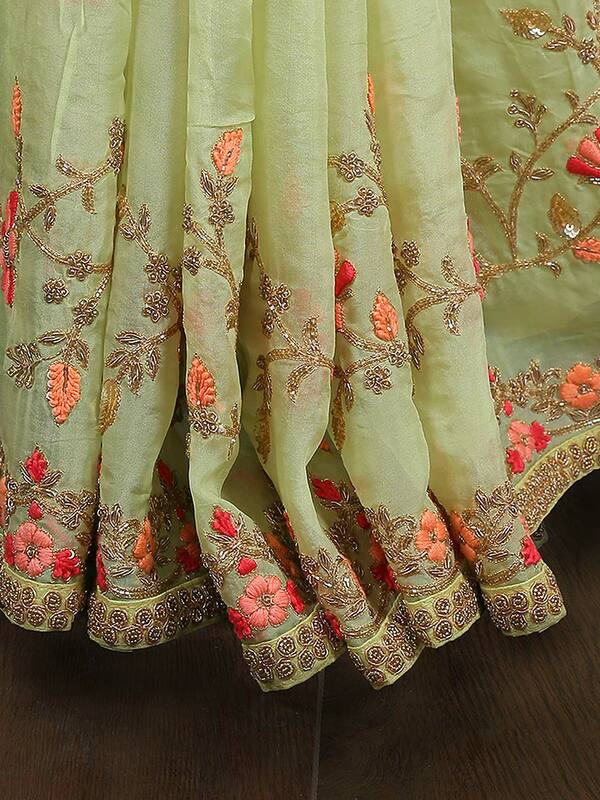 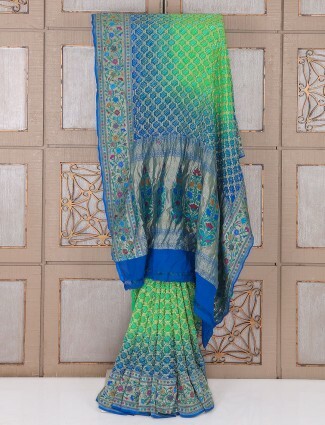 It comes with matching unstitched blouse piece.